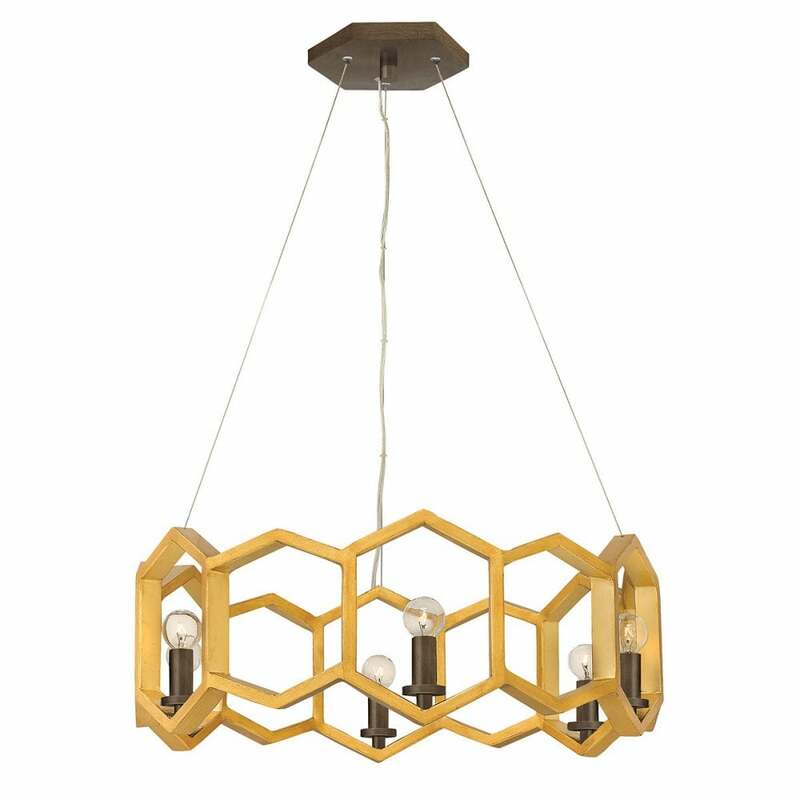 A geometric feature piece of lighting with a hexagonal link structure in a sunset gold with contrasting black lamp holders. The light is suspended on a cable suspension which can be shortened at the point of installation for use in rooms with lower ceilings. It is also suitable for use on a dimmer switch providing the bulbs used are also dimmable. This would look great above a table, kitchen island or long drop stairwell in a contemporary setting. A great addition to any room looking to accommodate the geometric style. Here at The Lighting Company we have a large and ever growing range of lighting to suit every setting. Browse the full range of chandeliers here: Chandeliers.